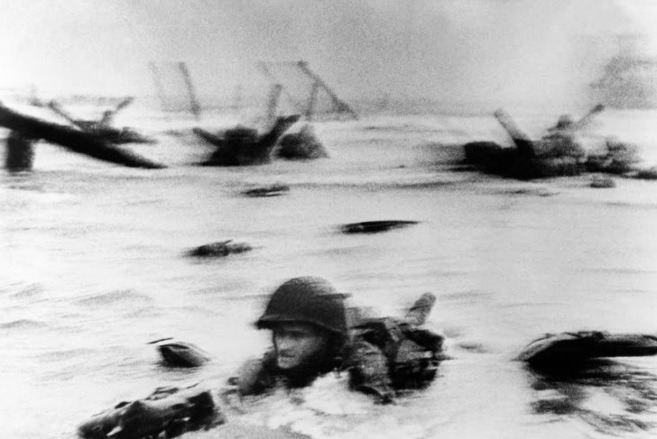 A soldier swims to the beach under withering fire, dodging bodies and abandoned material from those ahead. He stops at a metal hedgehog the Germans had planted in the middle of the sand as tank prevention. There he finds a press photographer already there. 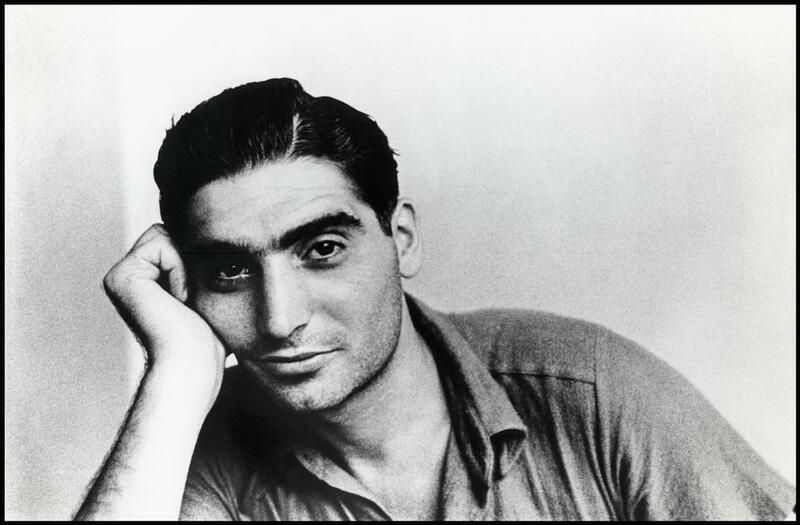 It is Robert Capa. For years the anonymous face of one of the most famous photographs of World War II went unattributed until historian Lowell L. Getz found him: Houston S. Riley, from Mercer Island in Seattle. Riley, who has always been recognized by himself in Capa’s photo was not a novice. He had landed in Morocco with the troops of General Patton, as well as in Sicily and Italy that year. His company was chosen to fly in the first wave of invasion for the same reason. On the way to the beach soldiers vomited in the boat. The landing craft struck a sandbar and soldiers had to disembark more than 100 meters from shore. It took half an hour or more to cross the 100 meters to almost certain death. Many were drowned by the weight of their equipment before they reached shore. 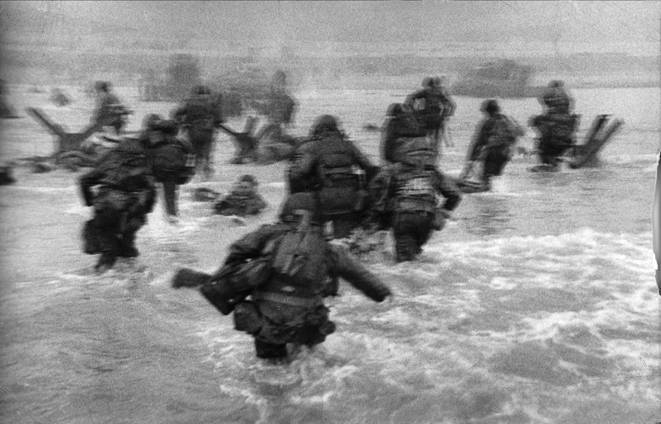 In that moment of death on Omaha Beach, Riley was wounded by two bullets. The first grazed his neck and the second embedded in his back. A soldier swam to him to pull him to the sand. He remembers “the photographer grabbed me from the other side and they took me out of the water.” Apparently, Capa saved Riley’s life, although Capa never mentioned it. Capa himself was too scared to remember much of anything. As he later wrote in his autobiography, Slightly Out of Focus: “The camera shook in my hands. It was a new kind of fear that I shuddered from the last hair to toe”. Capa speaks in his book about a soldier with whom he shared an obstacle, but never knew his name. This entry was posted in Documentary Photography, Famous Leica Users and tagged Robert Capa on August 3, 2014 by Leicaphila.